Despite a rise in the number of housing units provided by the government and private sector, the gap between supply and demand for affordable homes in Yangon is widening as the population expands, Daw Aye Aye Latt, founder of Chantha Shwe Myay Construction Co, told Myanmar Times during an exclusive interview. The Myanmar Edible Oil Millers Association (MEOMA) will help millers in the entire supply chain get approved by the Food and Drug Administration (FDA), according to the Myanmar Trade Promotion Organization (MYANTRADE). The United Nations special envoy to Myanmar met on Tuesday with the deputy speaker of the Rakhine state parliament and leaders from the region’s dominant political party, the Myanmar government said, as the troubled state deals with a recent escalation in armed conflict, thousands of displaced civilians, and Rohingya refugees still languishing in neighboring Bangladesh. Myanmar’s parliament, made up of two Houses, has resumed its 11th session in Nay Pyi Taw, parliament sources said on Tuesday. 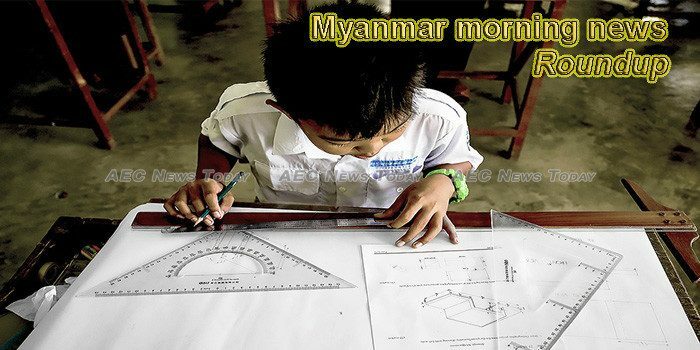 The Rakhine State government is moving ahead with economic development plans for the northern part of the state. The Yangon City Development Committee (YCDC) has decided that political parties will not be allowed to use logos during campaigning ahead of the March 31 municipal elections in the commercial capital. The Yangon Region government initiated legal action in over 35,000 cases involving violations of traffic rules and regulations in 2018, State media reported. Two districts of Manipur – Saiha and Lawngtlai – where thousands of Myanmar’s citizens have come taken refuge, is where a few clashes between Myanmar Army and Arakan Army have been reported. The China-Myanmar Cultural Week kicked off Wednesday in three major cities of Myanmar, Yangon, Nay Pyi Taw and Mandalay. A comprehensive plan is urgently needed to encourage and guide tourism development in one of the world’s most beautiful archipelagos. Twenty-nine Myanmar construction workers in Thailand were detained last Friday on charges of using illegal drugs, the Bangkok-based Myanmar Overseas Employment Agencies Federation said. Swedish Hanna Helsingen works for World Wide Fund for Nature in Myanmar to make the environment a priority for the Myanmar government. Her life here is both challenging and enjoyable and she is only hesitantly getting ready to leave. The deputy speaker of the Irrawaddy Region Parliament on Monday denied the embezzlement allegations that recently saw him purged from the ruling National League for Democracy (NLD). Myanmar’s Serge Pun & Associates is entering the middle-class housing market here, moving away from the sluggish luxury segment to tap an area expected to enjoy broader demand. Christine Schraner Burgener, the United Nations special envoy for Myanmar, will visit northern Rakhine State today to seek ways for the global body to further help in the strife-torn western state. State Counsellor Aung San Suu Kyi said that elimination of corruption was her government’s objective. Myanmar restaurant chain Feel International is set to open in Thailand. Opening in the popular Bangkok tourist area of Pratunam on Thursday (January 24), the group intends to introduce Myanmar cuisine to Thai consumers and foreigners. As International NGOs supporting communities throughout Rakhine State, we express deep concern for displaced communities and others affected by the upsurge in fighting between the Arakan Army (AA) and Myanmar Military. “We Chinese people in Myanmar are behaving ourselves. We are not active in politics. We don’t work in the government,” said Huang Zhenzhong, 69, the curator of the Overseas Chinese Library in Yangon. “Law-abiding citizens” is the phrase Huang chose to describe the role of Chinese people in the country. Following recent share price movement on shares of Myanmar Metals Limited (MYL.AX), we have seen that shares are now trading under the Chikou line. Traders might be tracking future price action to determine possible downward momentum if the price remains below the signal. Villagers participate in a bullock cart race during a local festival at the Thegone township in Pyay District in the Bago Region, Myanmar, Jan. 16, 2019.